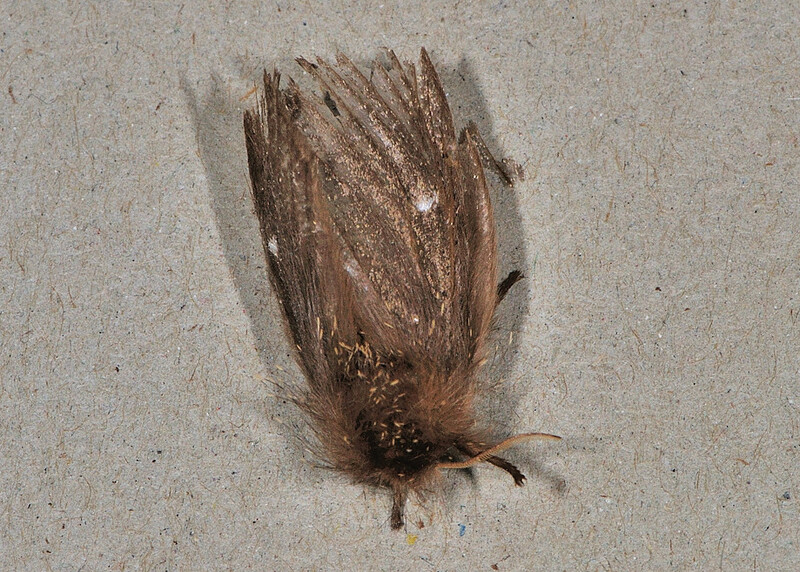 This page contains pictures and information about Processionary Caterpillar Parasitic Fly that we found in the Brisbane area, Queensland, Australia. 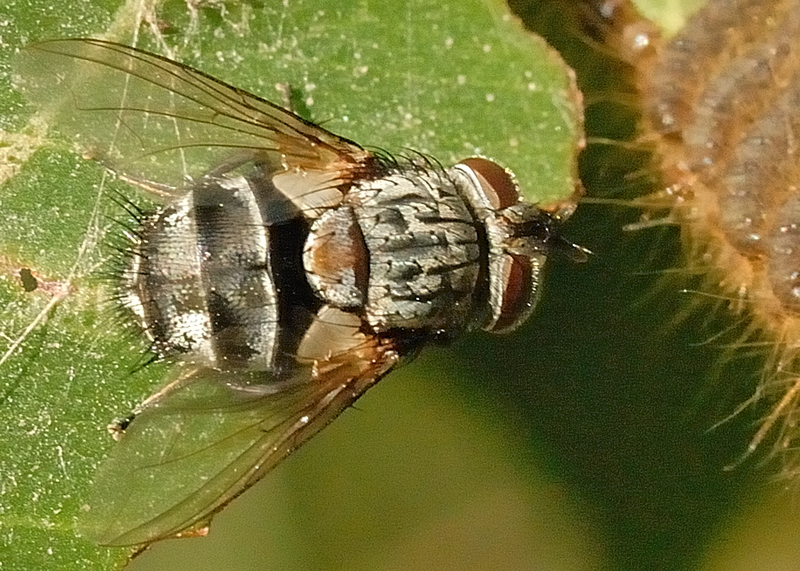 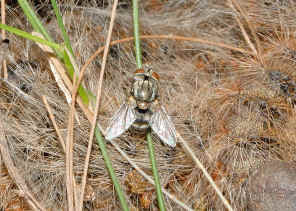 This medium size fly is grey in colour with short hairs covering the eyes. 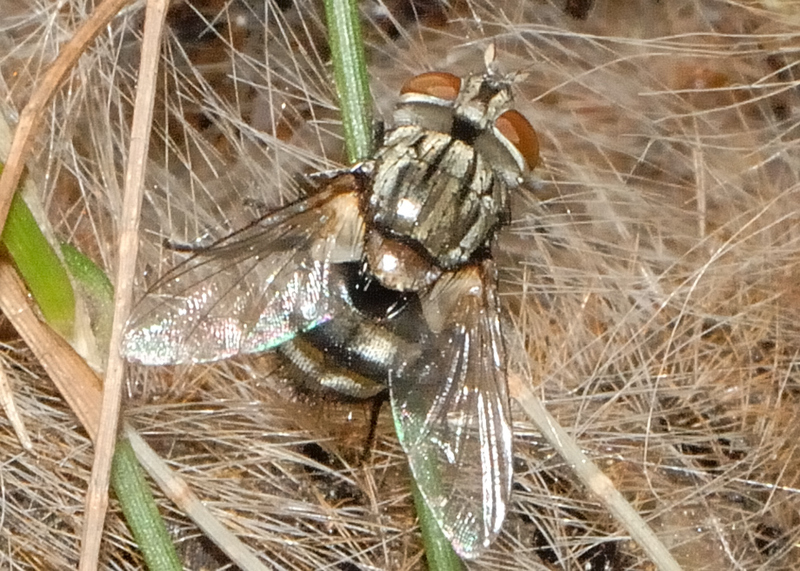 We found this fly a few times associated with the Processionary Caterpillars. 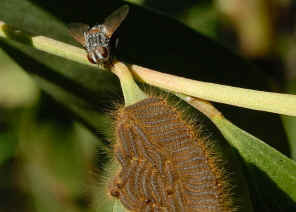 The moths and caterpillars are protected by their dense long itch hairy and scale. 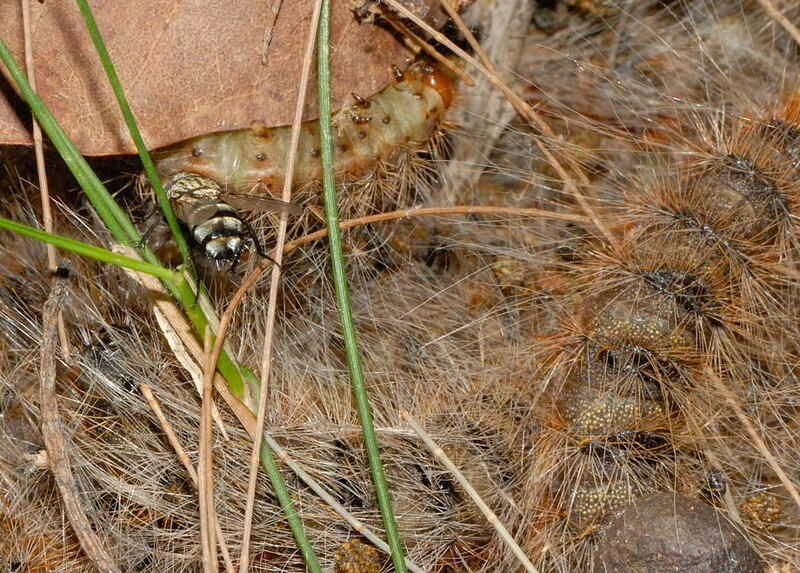 The caterpillars are further protected by their silk bag shelter and habits. 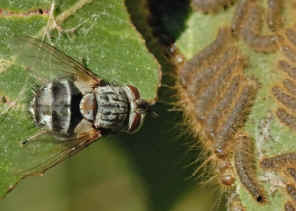 They do not have many predators. 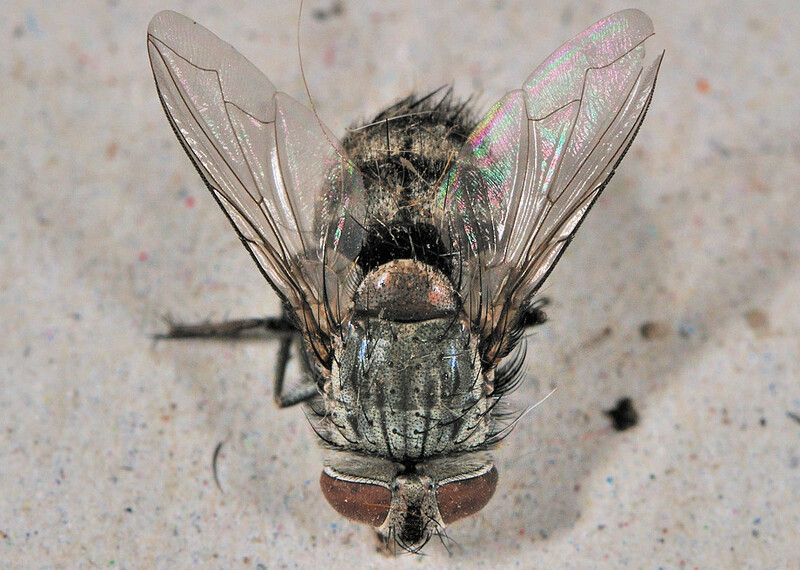 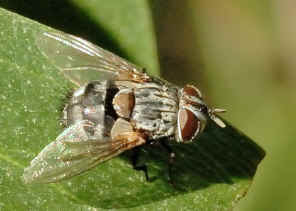 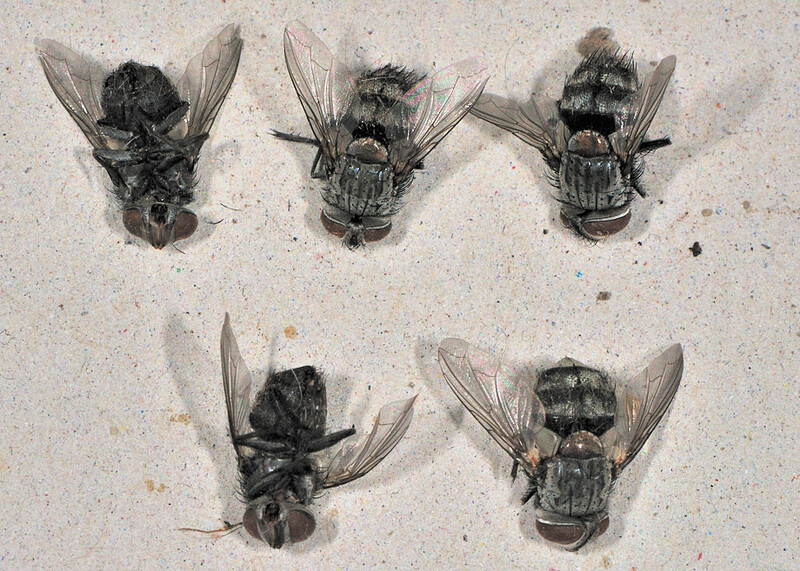 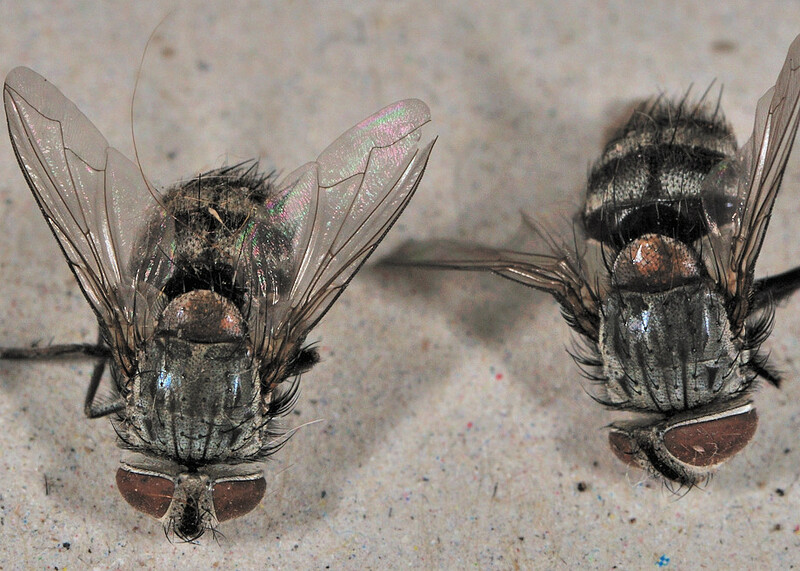 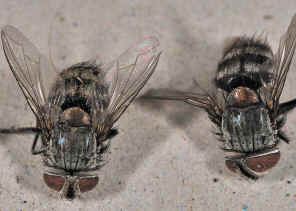 However, scientists do found that they are subjected to parasite by Tachinid Fly. 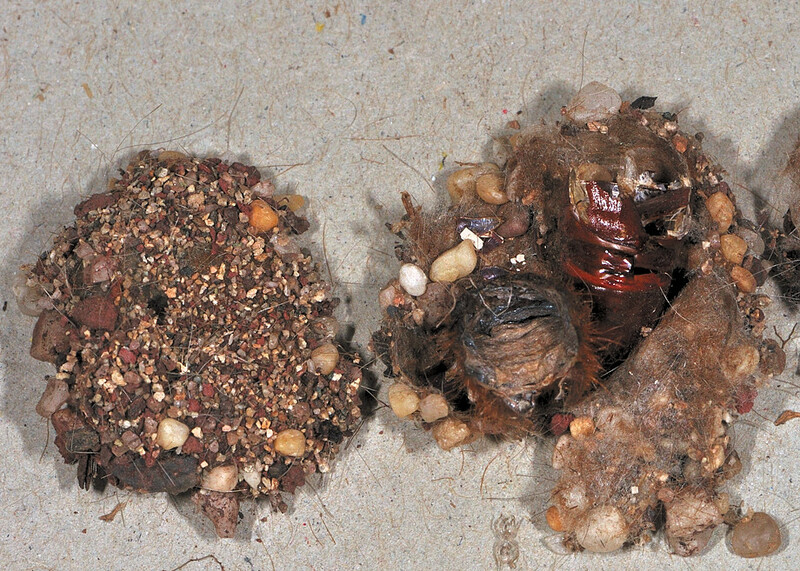 Scientists found the pupa cases of Tachinid Fly inside their bag-shelter. 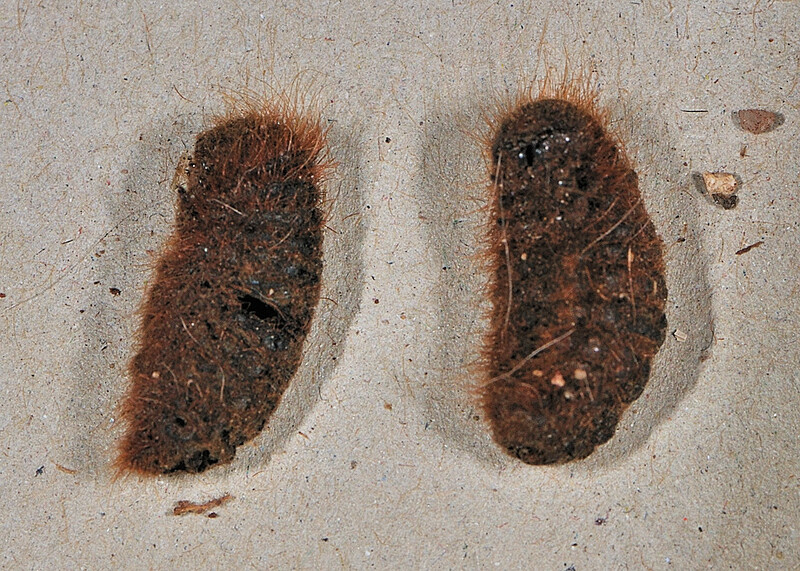 From reference information, Processionary Caterpillars is parasite by the Tachinid Fly Carcelimyia dispar (Diptera: Tachinidae: Goniinae). 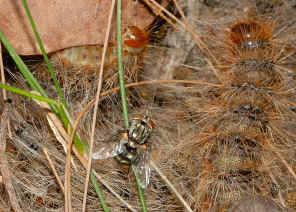 When observing the caterpillar bag-shelter, we also saw saw those Tachinid Fly. On May 2009, we collected some matured Processionary Caterpillars. 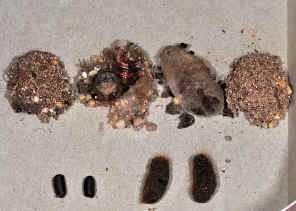 We put them in a small tank. Inside we put a thick layer of sand covered with plant materials. 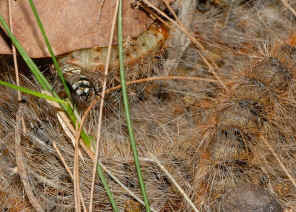 Those caterpillars hide under the plant materials. Nothing happen for a long time. 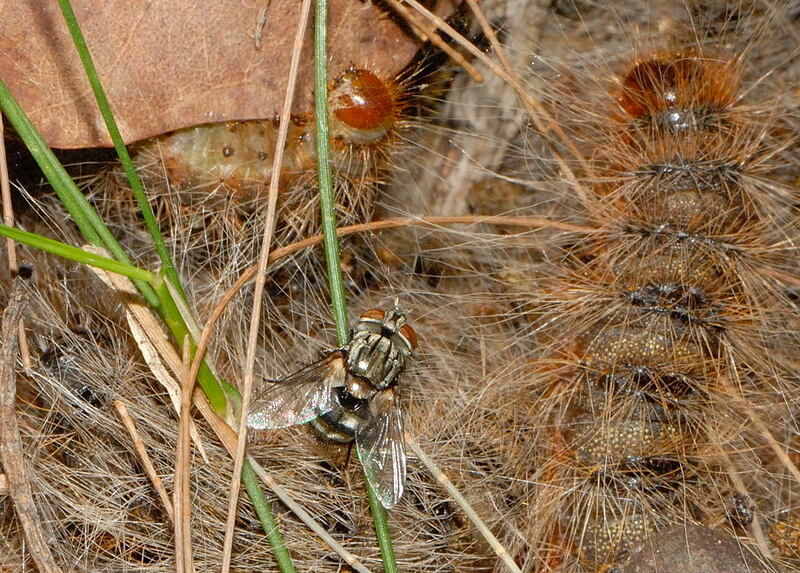 On early next year, we found some Tachinid Flies and some Processionary Caterpillar adult moths emerged. 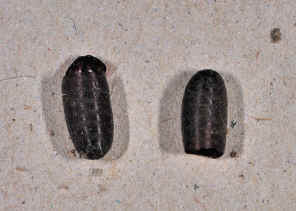 Those pupa were found just under top surface of the sand layer. 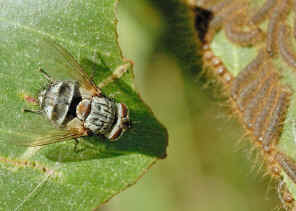 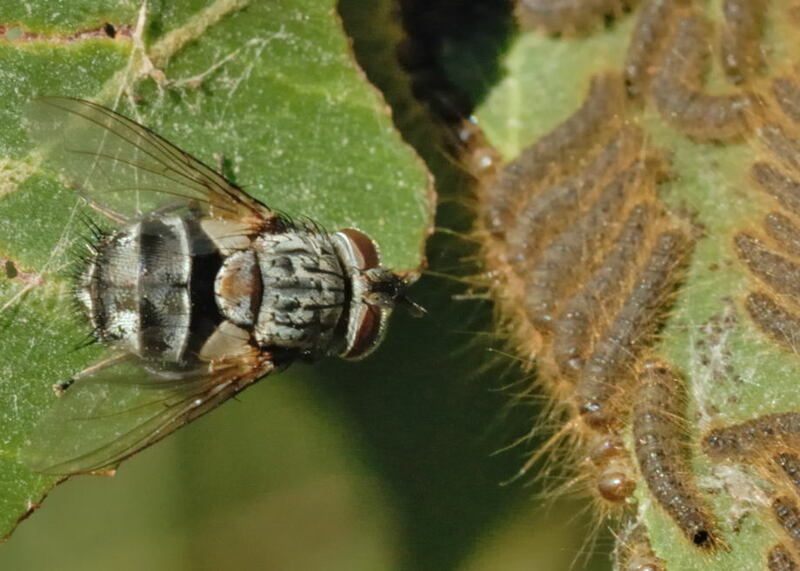 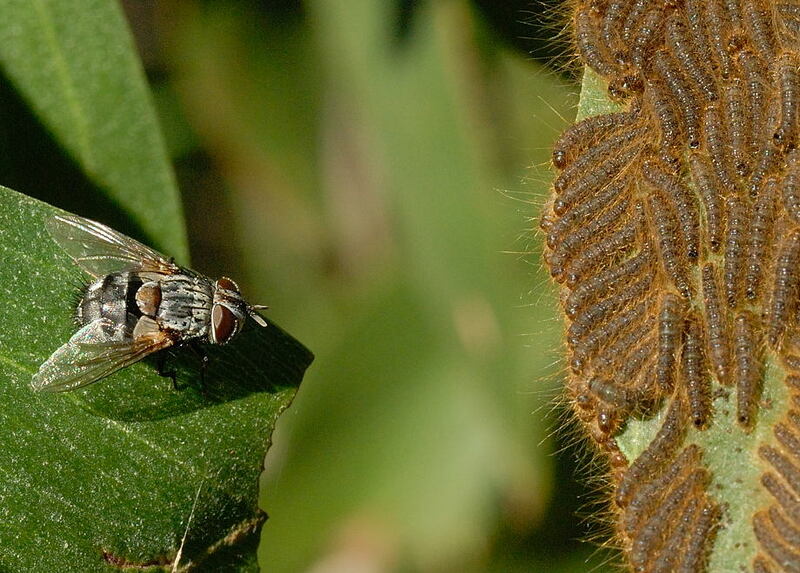 Please also visit our More about Tachinid Flies page for more information on caterpillar parasite.